Thank you all for your exciting contributions. See you soon at the shores of Lake Taupo. 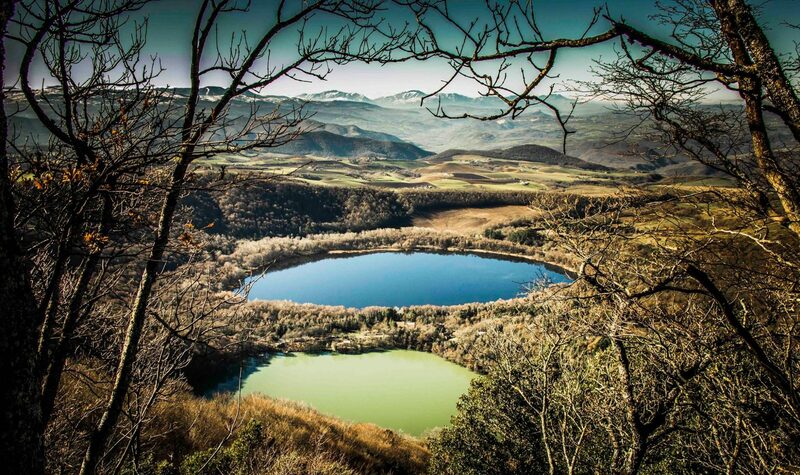 Active crater lakes provide the opportunity to watch inside magmatic-hydrothermal systems. The proto-type setting of “wet volcanoes” makes crater lakes prone to phreatic eruptions. Multidisciplinary approaches, by combining geophysical and geochemical measurements, and numerical and probabilistic modelling, have recently proven to be promising means to possibly reveal precursory signals of phreatic and phreatomagmatic eruptions. Hence, this section seeks contributions on how to measure and monitor crater lakes in relation with the activity of the underlying volcanoes. In this session, we welcome contributions focusing on peculiar approaches and methods of investigation of volcanic lakes from the geochemical, biological and limnological perspective. Studied lakes may be volcanic lakes from little maars to giant calderas, heated and acidic lakes, Nyos-type lakes (from the Lake Nyos gas disaster in Cameroon in 1986, when a limnic eruption occurred releasing huge amounts of CO2), bio-activity lakes (prone to the development of CO2(CH4)-rich gas reservoirs at depth mediated by bacterial activity), as well as lakes simulating the characteristics of a volcanic lake such as anthropic gas-rich lakes, sinkholes, etc. The aim is to encourage the expertise exchange among scientists in the study of microcosms such as limnic systems of volcanic environments, especially favouring the discussion and the development of new multidisciplinary and methodological research approaches, to shed light on the interactions occurring between geosphere and biosphere. The scientific program of CVL10-New Zealand is taking shape. We would like to thank many of you who will contribute to the excellent and original scientific discussion that will take place in Taupo in March. We hope to greet many of you on the shore of Lake Taupo next month. Abstracts have been rolling in the last couple of days. Thanks to all the wonderfull contributions, CVL10 promises to be an exciting event. Click HERE for the full program of CVL10-New Zealand. Please send your abstracts to a.mazot@gns.cri.nz by this date. See you all at the shores of Lake Taupo in March.